Three U.S. service members were killed and three more were wounded by an improvised explosive device Tuesday in Afghanistan, according to officials with the NATO mission to the country. One American contractor was also wounded when the IED detonated, officials said in a press release. The attack took place near Ghazni city, in the eastern Afghan province of the same name. The wounded service members and contractor were evacuated and are receiving medical care. In accordance with Department of Defense policy, the names of the service members killed in action are being withheld until 24 hours after their families have been notified. The NATO mission to Afghanistan does not typically release the names of service members who are wounded. On the 17th anniversary of the conflict, Marine Corps veteran Rep. Ruben Gallego said U.S. goals in the country have been completed. Ghazni city, located 100 miles from Afghanistan’s capital city of Kabul, was also the site of an intense battle between U.S.-backed Afghan forces and the Taliban over the summer. Get the top five most awesome, inspiring and moving photos of the week. Militants managed to route elite Afghan commandos in their assault on Ghazni, forcing the U.S. to bring in Air Force A-10 Warthogs and MQ-9 Reapers, as well as the Army’s 101st Airborne Division, to mount an impromptu defense. According to the Defense Casualty Analysis System, 10 U.S. military members, not including these latest casualties, have been killed and 107 have been wounded in Afghanistan so far in 2018. The most recent death was Sgt. Leandro Jasso, a 25-year-old Army Ranger. 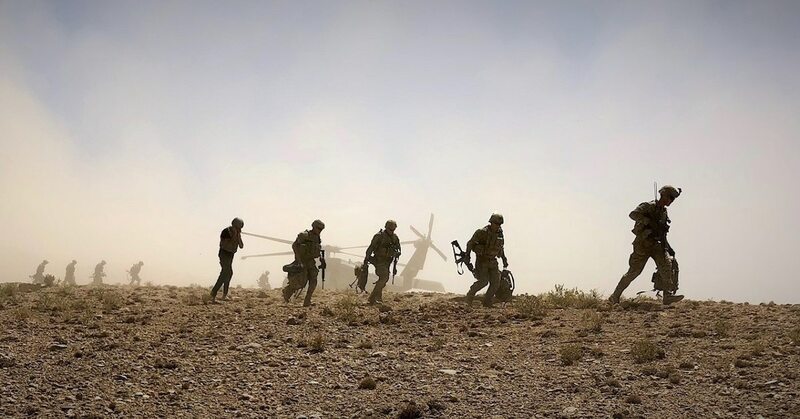 Jasso was unintentionally wounded by friendly fire from an Afghan soldier while conducting combat operations in Afghanistan’s Nimruz province, U.S. officials announced Tuesday morning. Jasso later died from his wounds. Though insider attacks in Afghanistan have trended upwards this year, there is no indication Jasso was shot intentionally, according to the NATO press release. The U.S. presence in Afghanistan stands at roughly 15,000 troops. Other NATO allies, such as the Czech Republic and Romania, also contribute troops to the conflict and have suffered from the insurgents' use of IEDs. In October, an IED detonated near Bagram Air Base, wounding six Czech soldiers as well as multiple civilians. Another IED in Parwan province in August killed three Czech soldiers and wounded one American. Another IED at the end of August wounded eight Romanian troops.